Courtesy of Windham Farm and Food. Since its start in 2005, Brattleboro, Vermont-based Post Oil Solutions has focused on the issues surrounding climate change. Along the way, the community development group incubated two companies: Food Connects and Windham Farm and Food. In February of 2015, the two startups merged. Today, Windham Farm and Food aggregates food for 35 producers and approximately 60 local institutions. Their clients are schools, hospitals and senior centers. By merging its food system programming with that of Food Connects, Windham Farm and Food has increased its reach and streamlined the local food infrastructure. Food Connects and its six staff members left the umbrella of Post Oil Solutions in 2013. 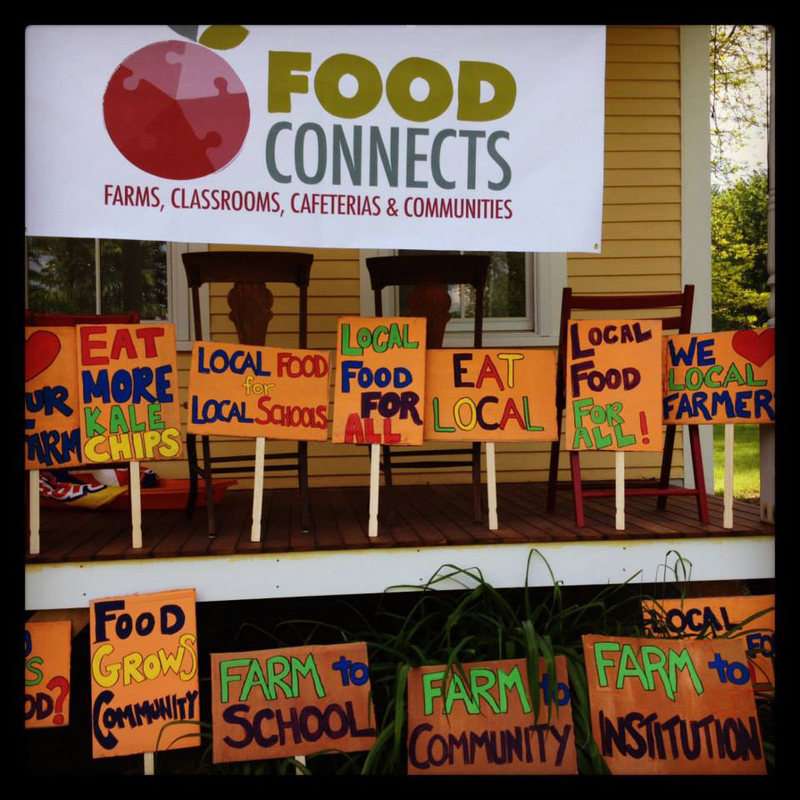 Focused on facilitating food system education, Food Connects is a complement to Windham Farm and Food, working with institutions around Windham County to encourage organizations to work together to strengthen local food systems. For example, Food Connects staff members assist food service managers in sourcing local foods for schools and institutional cafeterias. “A huge barrier for institutional kitchens is cost and availability of local produce. What we’ve found more than anything is that the cost is not an actual barrier; it’s the perception that local food costs more. We’re working to break down that perception,” says Rortvedt. Together, the merged startups ensure farmers have local wholesale buyers. Food Connects uses community-based programs to connect people with local food. Programs include a weekly market, food clubs and healthy food education. The Food Connects buying club has a sliding membership fee. The idea is to increase food equality in the area. “We’re very transparent about the fact that the middle and upper tier of participants are essentially subsidizing the costs for lower income club members to participate,” says Rortvedt. 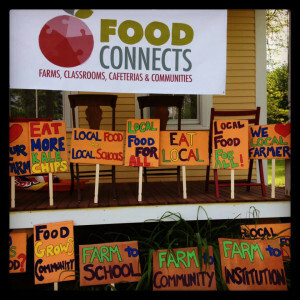 A local school hosts the Food Connects market, which offers a hybrid farmers’ market/CSA model. Participants choose the produce they take home. Rortvedt refers to the school as “neutral” ground for the mixed income community of Brattleboro. Food Connects continues to raise local food awareness and Windham Farm and Food remains a profitable social enterprise. The main challenge for the young organization is remaining sustainable and knowing their limits. “I think for us just being able to focus our time is important. There are just three part-time staff. It’s always a challenge having to say no to things,” says Rortvedt. Rortvedt advises any food systems group to start small and go slow. Regional partnerships have played a huge role in Food Connects’ success. “We have a wonderful and supportive network of partner organizations around the state that are also learning and sharing resources, ideas and lessons learned. I think one of the unique things about the Vermont environment is that we have such a wide network of people working on this from lots of different angles and we’re really working together in a lot of ways,” says Rortvedt. Moving forward, the goal for Food Connects is to strengthen existing ties and manage current programming.